I’ve meant to share this Candy Corn Fondue recipe for weeks! It’s my fun recipe this month for Real Housemoms. I love using my slow cooker for dessert dips! My other favorite dips for the slow cooker are Candy Bar Fondue and Caramel Apple Pie Dip. 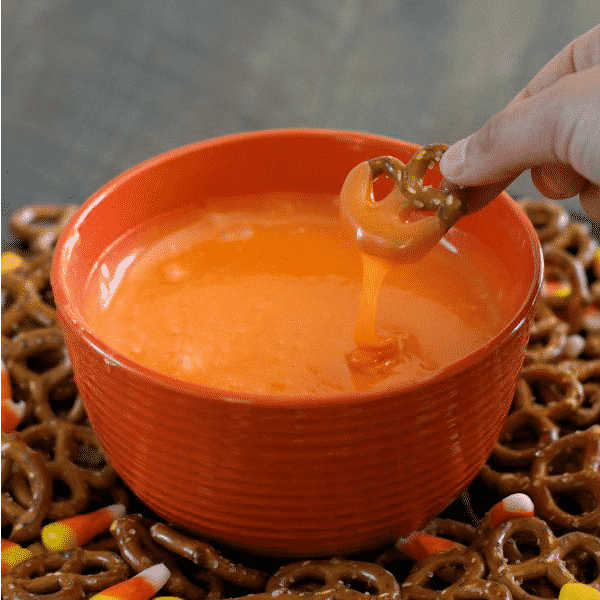 If you are having a party for Halloween this Candy Corn Fondue would be perfect, for adults or the kids after trick or treating. We are having our friends over for Halloween for pizza, and a dessert like this would end the night right! Amara would absolutely love that dip! She is not big on chocolate but she does love sugar! The kids are really going to love this one! Thanks for posting.